In recent months, social media censorship and shadow banning on social media have been hot topics in the conservative/Republican circles. I know there is a lot of banning going on and of course, the ones I see getting banned are conservative but that is because most of my friend’s list is conservative. As a result of these bans, many have started saying the government needs to get involved. Personally, I don’t think people are thinking this through. Government involvement in anything almost always makes it worse in the long run. 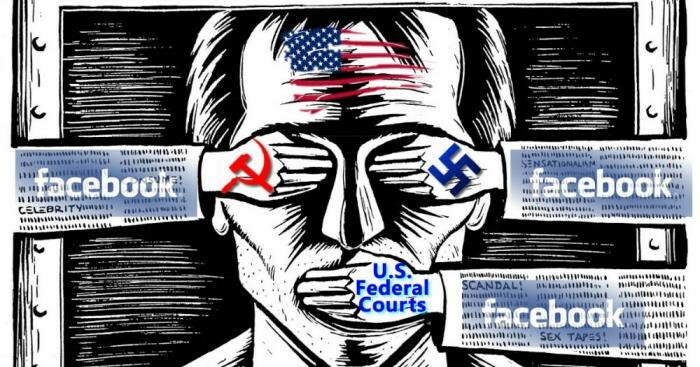 Censorship is wrong no matter what but government involvement is even worse. First, I think we need to know what shadow banning is because many have heard the term but really don’t know what it means. The very first thing we need to realize is all social media platforms have been doing this from the beginning because if they did not prioritize the more popular feeds then all of our timelines would be overrun with what people ate for supper and their trips to Wal-Mart. Personally, I have over 500 people in my friend’s list and I can assure you that I do not want to go through 500 different things each time I get on Facebook and that is assuming each user only posts one thing (YEA RIGHT!!!). So, the algorithms people are complaining about today really is nothing new. Secondly, with over two billion users it would be literally impossible for the company to manually go through each and every post to see what does and does not fit their rules. Because of this, they must rely on the users to police themselves in a way. The algorithms are set up so the users can click a button and say hey this is not good and here is why I think it is not good. Sadly, this is very abused by people on the extremes of both political parties and anyone who is out for vengeance. Once a certain number of complaints are filed, in some cases only one complaint is enough, the algorithms automatically block the content. It would be very easy to get four or five people to go to a certain feed and complain to get it blocked. What is the solution?? Honestly, I don’t know and I am not sure anyone else does either. I do know that if the government gets involved in 2020 or 2024 a new president will be elected and new members of the Congress who would be able to alter anything done by this government to do what they wanted. Meaning liberals could easily set it up so ALL conservative political posts are banned and Conservatives could do the same. If you think they wouldn’t do that who among you would have thought we would have sitting members of Congress calling for violence and violent speech against people who disagree with their line of thinking?? Shadow banning is wrong, in my opinion, as I think all users should be notified when their content is pulled or demonetized. That way they can do what they want or need to in order to get it viewed if they wish. The choice should always fall to the user not the company and definitely not the government. We are talking freedom of speech here even though it is being used on a company platform. Which brings up my last talking point. Do companies have the right to tell people what they can and cannot say or wear as it pertains to freedom of speech? As much as I don’t like it because I am an opinionated person who likes to talk, it is the right of all companies to put this in place. As a Christian, I would rather not hear the f-bomb as every other word from people but it is not my place to tell them they cannot use it. I can ASK them politely to stop and usually they will but it is their choice, not mine. When we go to work for a company we agree to certain things like how much we will be paid and we have to sign a code of conduct and safety letter of some sort saying we agree to those terms. The same thing happens when you join Facebook or any other social media. In those terms, there are many things that basically none of us ever read we just click ok or agree and go on doing what we want. In them, there are things outlining what will and won’t be tolerated. In social media, this includes certain types of speech and threats. Who gets to decide what speech?? The owner or board of trustees is who and if we, the users don’t like it then all we have to do is stop using the platform. At this point people start complaining about it is how we keep up with family and get news and so on. I understand I am in the same boat with you. It doesn’t change what I said though, don’t like it stop using the social media platform. All of that said, I dislike the censoring as much as anyone but a private company has the right to do with their products whatever they want so long as it is within the rules and regulations of this country. Censoring speech is. Personally, I would love to see someone put up a competitor to Facebook. The competition is what stops companies from doing this sort of thing. A quick solution for now, maybe, find out ways to make your posts slip past the algorithms, just a thought………..